Rental Magica Collection 1 contains episodes 1-12 in both broadcast and chronological orders. Destroying supernatural monsters... Dispelling dark magic... It's all in a day's work for the mages of Astral! However, after the mysterious disappearance of the company president, they're left in a lurch. His son, Itsuki Iba, begrudgingly fills in, but Itsuki's unfamiliarity with magic could spell bad news for Astral - especially with their rival Goetia vying for the very same contracts. As the jobs grow ever more dangerous, they soon find that staying in business is the least of their worries. Special Features: Character Bios, Special Promo 1, Commercial Spot 1, Clean Opening 1, Clean Closing 1, Trailers. This is one of my fave anime series. 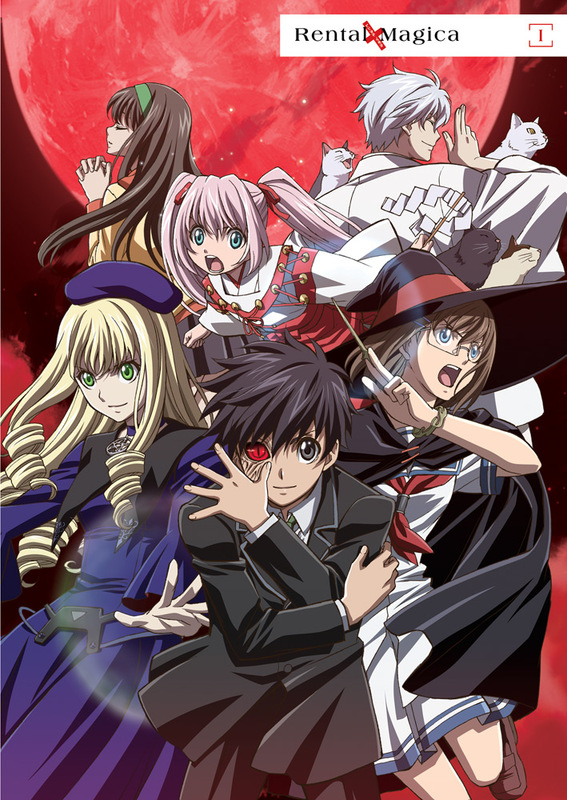 While there are lots of magic based anime out there, this one is different from the rest. Lots of fun and an interesting incorporation of various magical systems. While I am not very familiar with all of them, what I do know is surprisingly accurate. The one thing I did find not unique to this anime, is the fact that there is a character named "Lapis"
So, if you were trying to decide if you should watch it, I say go for it! Let's start off in stating that this series heavily references actual occult writings and practices. For those who like that sort of thing, you'll be pleased with the familiar names, signs, and actions. If you lack knowledge or interest in that area, it's going to be notably less impressive. But, even without the occult angle, it's a fairly fun, if derivative, series. It doesn't cover new ground, but does well enough for its limitations, and is perfectly entertaining. It has the added bonus (for me at least) of having been broadcast out of chronological order. A pleasant feature is that each disc provides its stated episode numbers in both the chronological and broadcast orders. Yes, that means that there are several episodes that appear on BOTH collections. All in all, I rate this more of a niche title or personal pleasure. But if it's up your alley, it's worth it.